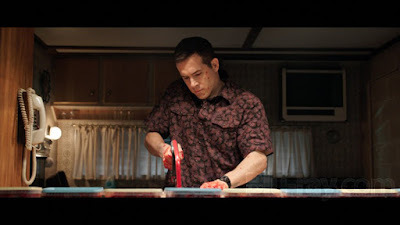 In the thrilling horror psycho dark comedy “The Voices,” director Marjane Satrapi and scribe Michael Perry have created a great symphony of a movie with a perfect ensemble of actors in Ryan Reynolds, Anna Kendrick and Gemma Arterton as lead stars about a very likeable serial killer trying to be accepted within society’s norms. Reynolds takes on the role of Jerry Hickfang, a schizophrenic trying blend in with normal folks in a town called Milton while simultaneously lending his voice to Bosco, his dog and to Mr. Whiskers, his cat in the movie. Ryan Reynolds Tries to Fit in Despite Being a Misfit in "The Voices"
“The Voices” opens exclusively at Ayala Malls Cinemas nationwide on June 3.